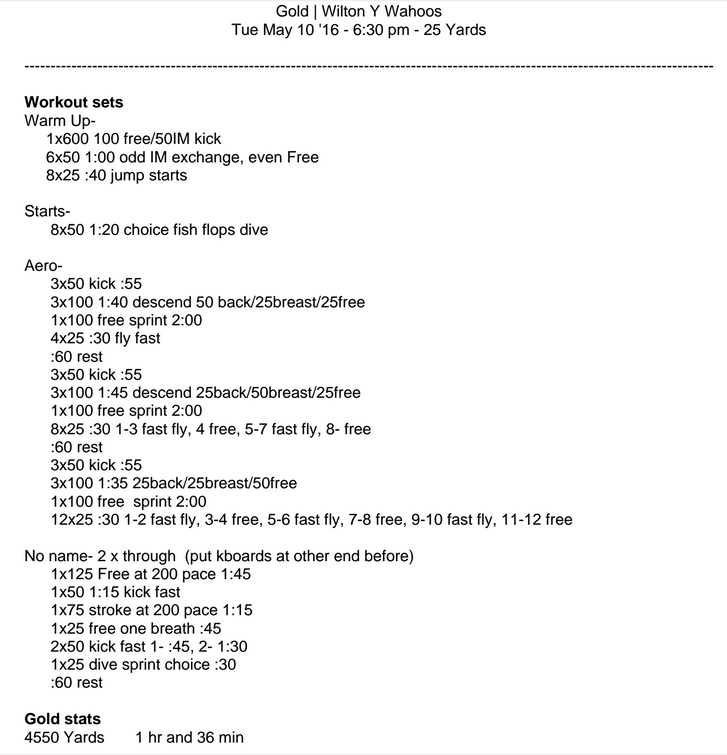 Here is a practice we did with our top 12&under group this week. It was a blast and I thought it’d be a good one to share. Two notes- jump starts are 25s starting at the flags to work a turn. Fish flops are dive fast 25 + recovery 25. Dive in lanes 2,3,5. Come back recovery in lanes 1,4,6. Called fish flops because it’s 25 dive focused on fish kick and flop back to the blocks. Next Post Meters. It’s What’s for Dinner.